I have seen enchiladas popping up on a number of blogs recently, and have never had them, so I decided to make them for dinner Friday night. I absolutely loved these – they (and any other variations I can think of) will be going into the “regular rotation”. How to make the enchiladas and recipes after the break. I couldn’t decide on how I wanted to fill these and ended up using the filling that we make for our fajitas – a grilled combination of chicken, pepper, onion, mushrooms, and broccoli. The mushrooms and broccoli may sound a bit strange, but a favorite local Mexican restaurant uses them in their fajitas so I decided to try it, and it really adds some great flavor! 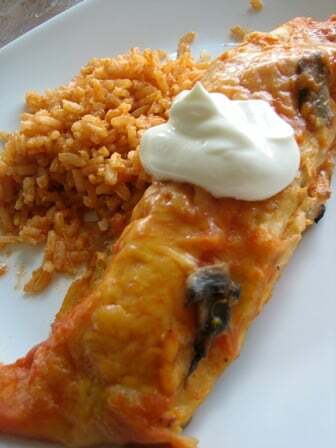 I served Mexican Rice as a side to the enchiladas, and it was definitely enough for a complete meal! In fact, I will likely cut the recipe in half next time. 2. Make the Enchilada Sauce: Heat oil in a skillet over medium-high heat. (Watch out for splatters - I got nailed a few times!) Stir in flour, reduce heat to medium, and cook until lightly brown, stirring constantly to prevent burning flour. 3. 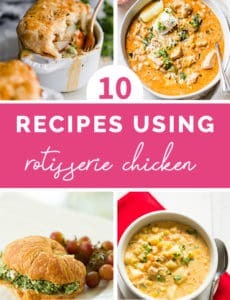 Gradually stir in tomato sauce, chicken broth, garlic powder, and onion salt into the flour until smooth, and continue cooking over medium heat approximately 10 minutes or until lightly thickened. Season with salt to taste. 4. Assemble the Enchiladas: Spread about 1/3 of the enchilada sauce on the bottom of a 9x13-inch dish, enough for a thin covering across the bottom of the pan. 5. Fill the tortillas with your choice of filling and roll them up and place them in the pan, seam side down. 6. Once the enchiladas are in place, pour the rest of the sauce over them, making sure there are no dry spots. 7. Sprinkle the cheese of your choice (I used cheddar) on top. 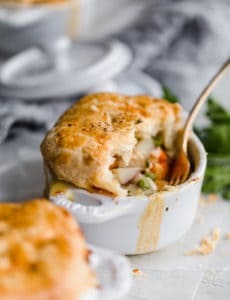 Cover with foil and bake in a 350 degree oven for 25 minutes. Remove foil and bake 5 more minutes. Hi, how can you make the sauce spicy? I’m a type of person who adores spicy foods! 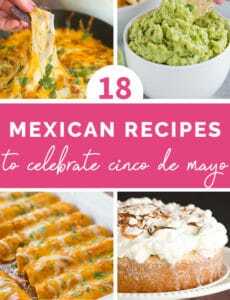 Add some of your favorite spices for Mexican dishes! These sound yummy! One question, do you prefer using corn or flour tortillas? Hi, I’m wondering about freezing this recipe. If I were to make it, would I just stop and freeze it before baking? Then, when I’m ready to cook it, do I defrost before baking, or just throw in the oven? I’m not experienced with casseroles/baking. =/ Thanks! Hi D – You got it! Assemble it before baking, cover and freeze, and then bake from the freezer (no defrosting necessary – you just may need to add some additional time to the cooking). I’ve had fajita burritos, but never enchiladas! I bet these were great. Mmmm I love Mexican! Those look delicious! I don’t usually like mexican, but these look so good! We’ll HAVE to try them. Yummmmm! these look absolutely fantastic! enchiladas are my favorite mexican dish and i love that you make your own sauce. i don’t like spicy either :-) i need to try this. Hi Erin, while my tortillas were definitely soft, they didn’t become soggy or fall apart. Perhaps too much sauce, or cooking too long? Those are the only things I can think of! These look great! I made some enchiladas with green sauce recently, and there were delicious. One problem, though… the corn tortillas became really soggy and fell apart. They still tasted great, but the tortillas really frustrated me! Any ideas?? I was just about to go to bed, but now I feel like I have to have a midnight snack first. Your picture made me hungry! Those look delicious! I have been craving enchiladas a lot lately, and I rarely crave mexican. I think I’m making some tonight! Those look soooo good! I love Mexican food and have not made enchiladas forever!